Battery capacity: 400mAh. Input: Micro USB (5V). Compatibility: AAA battery/LR03. No longer need to worry about the endurance of the batteries, this battery will provide ultra strong Power for your devices to performance well and operate longer. Short circuit protection to prevent short circuit and ensure use safety. 4 individual LED indicator: The red light is always on when charging, and the red light is not converted when it is full. USB Port: USB 2.0. 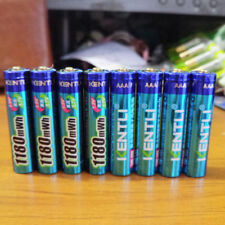 The EBL series universal batteries such as AA/AAA/9V/C/D18650 batteries, are widely used in most household devices. 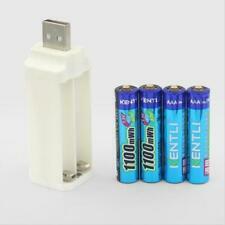 Long lasting AAA batteries: These powerful AAA batteries provide your devices with stable and safe battery energy. Usb Battery Charger Intelligent 4 Slots Aa Aaa Lithium Rechargeable Fast Smart. 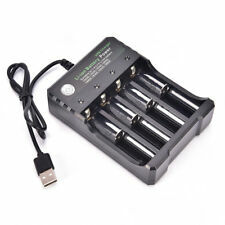 4.5 out of 5 stars - Usb Battery Charger Intelligent 4 Slots Aa Aaa Lithium Rechargeable Fast Smart. 2 product ratings2 product ratings - Usb Battery Charger Intelligent 4 Slots Aa Aaa Lithium Rechargeable Fast Smart. Short circuit protection to prevent short circuit and ensure use safety. USB Port: USB 2.0. Up to 1000 cycles, no need to buy batteries frequently. USB Port: USB 2.0. Color: Black(As Pictures Show). (Do not miss the kentli item which will bright your life and save your money.). application battery Size: AA AAA. We are surely for help! Gross Weight: 80g. 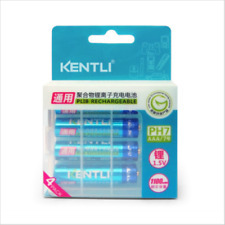 (Do not miss the kentli item which will bright your life and save your money.). application battery Size: AA AAA. Gross Weight: 80g. Rated capacity: 400mAh. Shell Material: High-quality fire-proof ABS plastic shell copper electrode. 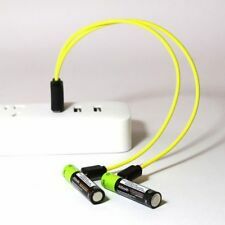 4 AAA lithium batteries MICRO USB charging. Micro usb charging cable length: about 25CM/9.84in. 1 micro usb charging cable. Note:The real color of the item may be slightly different from the pictures shown on website caused by many factors such as brightness of your monitor and light brightness. Short circuit protection to prevent short circuit and ensure use safety. 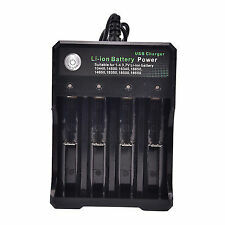 Usb Battery Charger Intelligent 4 Slots Aa Aaa Lithium Rechargeable Fast SmartA!